Apple’s new MacBook Pro will launched at this year’s Worldwide Developers Conference (WWDC) according to a report from KGI Securities analyst Ming-Chi Kuo. This prediction is in line with previous reports that indicated MacBook Pro production will begin ramping next month in readiness for a mid-year release date. While Kuo had initially reported that Apple would likely discontinue the non-retina MacBook Pro in favor of its more expensive, high-resolution brother, he has gone on to say that the continued strong performance of the MacBook Pro means that the product is unlikely to be phased out in 2013. The MacBook Air is also scheduled for a June refresh, but Kuo believes it very unlikely that the new MacBook Air will receive the retina treatment due to issues regarding the cost and production of displays for Apple’s thinnest laptop. The new 2013 MacBook Pro line is not expected to offer up any design changes, and will look identical to the current-model MacBook Pro and MacBook Pro (Retina display) product lines. The big changes will all be happening under the hood, with the introduction of Intel’s new Haswell processors. The Haswell processor line feature multiple cores, improved graphics performance and much lower power consumption compared with previous chipsets. In addition to the announcement of the new MacBook Pro, Apple are widely expected to unveil the much-anticipated iOS 7at the WWDC in June. 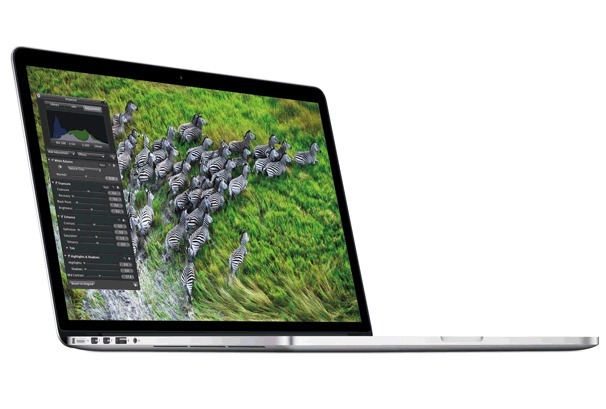 Are you looking forward to the release of the new MacBook Pro and MacBook Pro with Retina Display? What new features would you like to see? Let us know in the comments below.